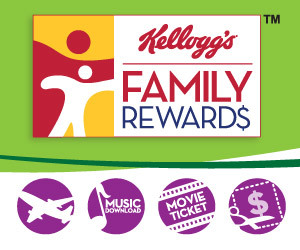 If you’re a Kellogg’s Family Rewards member, right now you can enter code LOVE-YOUR-KFRE-WARD to score 100 FREE Points! If you are not a member, go here to join. These are perfect for scoring freebies and awesome coupons! Offer valid thru 2/25. You may also receive an email. *Wait for an hour for points to reflect. Check out these other great freebies!